If I had to pick the one gadget that made my life as a working mother of toddling children circa 2000 more manageable, I’d raise my glass to the Playtex spill-proof sippy cup, currently sold on eBay as a vintage item. Prototyped by a dad who got sick of cleaning up spilled milk, this covered drinking vessel had a built-in soft plastic valve that would let in some air as the child sipped. The air pressure trapped the liquid inside the cup so the nozzle didn’t leak – even when the child held the cup upside down. I loved those cups. Well, I loved them until one, half full of milk, rolled under the couch to be lost long enough for the unrefrigerated milk to go off, separating into sludge and whey. Truly spoiled milk is revolting. Slightly sour milk, that just 2-5 days past its use-by date, on the other hand, is a useful ingredient in a green kitchen. Knowing how to use up milk that either doesn’t pass the simple sniff test or curdles a bit in your morning coffee, prevents food waste, says food waste reduction expert Dana Gunders. 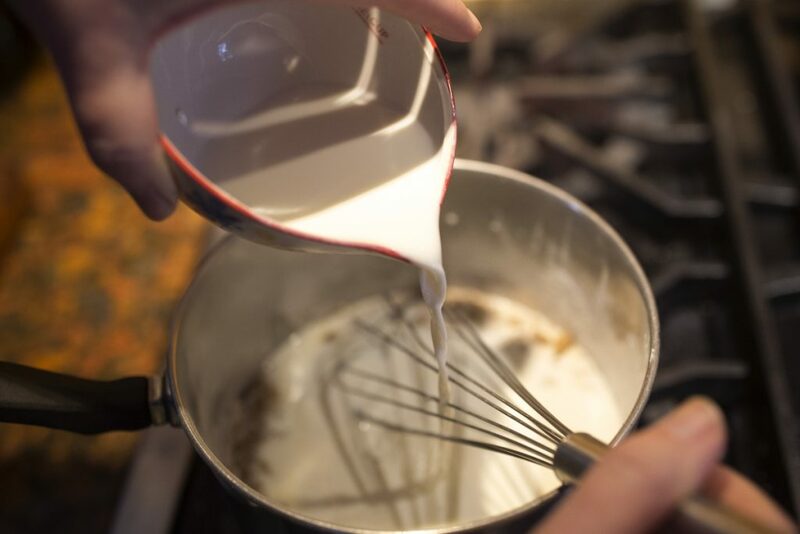 In her book, “The Waste-Free Kitchen Handbook,” Gunders argues that as long as the milk is pasteurized (heated to 161 degrees F for 15 seconds before being bottled for sale), slightly sour milk is not likely to make you ill even if the off flavor is noticeable. Once sour milk separates and starts to really stink or becomes moldy, though, it must be discarded. Christine Burns Rudalevige pours the pudding into bowls to chill until cold and set. Aging milk becomes more acidic as naturally occurring bacteria consume the sugars and turn them into lactic acid. The rising acidity literally sours the milk, makes it inhospitable to unfriendly microbes that might cause illness, and causes the milk’s proteins to coagulate making the beverage slightly thicker than normal. Milk at this stage needn’t be dumped down the drain, Gunders says, but it does need to be reheated. Sour milk is a good replacement for buttermilk, yogurt or sour cream in baked goods like pancakes, waffles, biscuits, breads, cakes and scones. 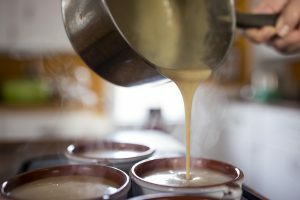 You can also add small amounts of sour milk to dishes that have a creamy, cheesy consistency, such as casseroles, seafood stews, or potato gratins, but you do have to be careful to ensure that the sour flavor doesn’t overpower the dish. You can use sour milk to help tenderize chicken before cooking it. And you can soak grains like wheat berries, barley, and farro in sour milk before cooking them in plain salted water. The soak both softens the kernels quickly and gives them a bit of a fermented flavor once they are cooked. 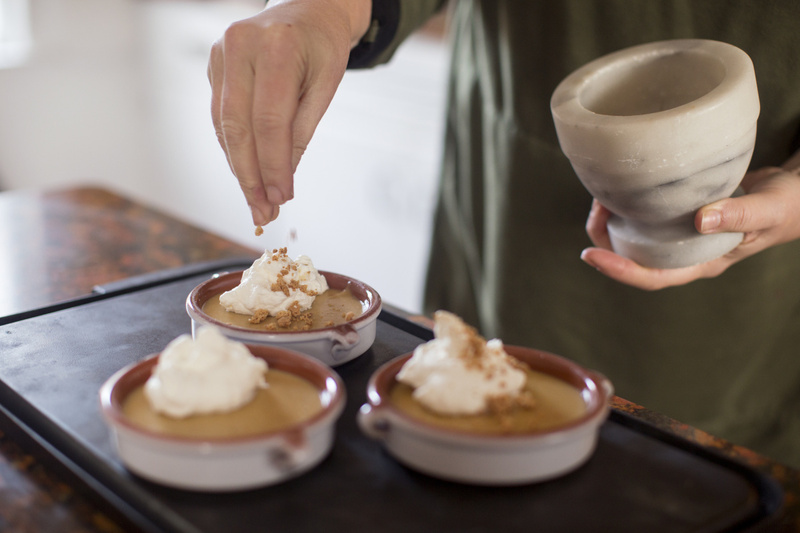 Finishing touches include whipped cream, a sprinkle of flaky sea salt and a dusting of cookie crumbs. Gunders makes it crystal clear that her ideas for using up sour milk do not apply to raw milk, which can be purchased legally in Maine but not in most other states. Since raw milk is not heat-treated, it contains many more microbes that can take the taste, texture and healthfulness in myriad good and bad directions. Neither Gunders, nor I, will make blanket statements about when unpasteurized milk is safe to use once it’s soured. Her recommendations do not apply to ultra-pasteurized milk, either, which is made by heating milk to 280 degrees Fahrenheit. The high heat kills all bacteria, giving the milk a very long shelf life. Minus the bacteria, the milk will not naturally sour unless it gets contaminated with harmful spoilage bacteria, which would make it dangerous to drink. So just as I no longer had to cry over spilled (pasteurized) milk once the sippy cup arrived on the scene, you no longer have to lament uncovering (slightly) sour milk in the fridge. It’s sure to come in useful.